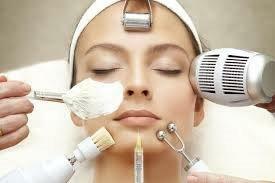 The Beauty Clinic offers some of the most competitive prices for comprehensive face and body treatments. We also provide a high level of care coupled with extensive experience and skill. In addition we use the latest in cosmetic technology. Doctor Bitlan has solid experience in cosmetic and medical anti-ageing treatments and would advise patients which is the best combination of procedures to achieve the best outcome. Every patient’s needs and goals are unique, which is why we would rather discuss your skincare concerns and treatment options in person. During your consultation with one of our staff members, we will evaluate your needs and develop a personalized treatment plan. All pricing for recommended treatments will be outlined for full transparency during your initial consultation so you can make an informed decision about your skin care and decide on the best payment plan. Unqualified practitioners may offer similar services, but ultimately, the final results require a skilled professional with years of experience and training. In order to give our loyal customers special discounts and opportunities, The Beauty Clinic offers a variety of promotions each month for a percentage off the costs of specific treatments or . Explore our website to learn more about combination treatment deals and other temporary promotions. To Subscribe to our news and specials -> Fill out the name and email in the “Subscribe” box on this or any other information page. To show our appreciation for sending your friends and family to The Beauty Clinic, each time you send a new patient to us for a treatment you will receive a $50 credit toward your next treatment and the friend will receive $25 off their treatment. You can refer as many patients as you wish and the credits will continue to add up. Your friend must mention you at the time of treatment to get the discount and ensure your credits are recorded by us. The Beauty Clinic wants to reward you for being a loyal patient. Every time you come into The Beauty Clinic and spend a minimum of $250 on fillers or wrinkle treatments, you will get a CREDIT. After 5 CREDITS you will receive $100 towards your next wrinkle/filler treatment. Our memberships are designed for people who are serious about their skin care and are dedicated to make a change. It will also maintain your skin healthy after bigger skin treatments or if you simply want a good, regular maintenance program. There are multiple choices of treatments included in our Membership Program. We can design a treatment program especially for your needs and tailor it during the program is we need to. You are able to have 2 treatments every month. One peel and one laser or skin needling treatment. You do not need to choose, we can and will help you with that. We want the outcome to be great, just like you do. Photographs will be taken in the start of the Membership Program and at the end, so you can see the results of your 6 or 12 month treatment program. As we personalise our membership plans – Feel free to call us for a full explanation. **1 Peel + 1 Laser or Skin Needling Treatment per month. Additionally LED Light Therapy can be purchased (at the time of your membership treatment) at the special price of $39/Treatment. Unlimited (one/month) other listed treatments except RF Micro Needling. Our Ezidebit Financing allows you to pay for your treatments in several instalments. Please enquire at the reception about setting up an Ezidebit Plan.